Jenn is one of my favorite contributors, and I am in absolute Awe of her daughter, Emelie. Well, a few days ago, Jenn and I were talking about Cassius’s extreme anxiety right now, and different medication options. I told her that Cassius is very nervous and does not — under any circumstances — want to consider taking any medicines at all. They make him really nervous. This is Em’s response to Cassius, which I so deeply appreciate and can NOT wait to read to Cassius (when I pick him up from therapy in a couple of hours!). Emelie, and her Mama, are some of my favorite people that I have met through the online autism blogosphere. 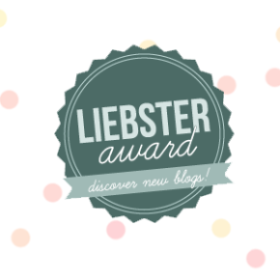 To get to know more about them, you have GOT to check out their blog — they are the BEST EVER! I sometimes get asked about Em’s thoughts on taking medicines. I’ve fielded that question so often, I decided tonight’s blog is from Em. We wrote this up to tell you her thoughts on the subject. I don’t really remember life without taking my meds. But I can tell you what it’s like when I am off them. I feel off. I’m hyper to the point it bothers me. I feel weird and the sensory issues bother me a lot. I’m really unfocused and I know I struggle with sleep on my meds but not as much when I’m not them. I really struggle to get good sleep if I can sleep.